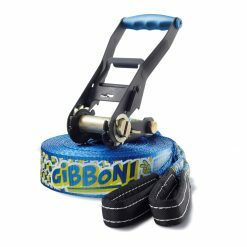 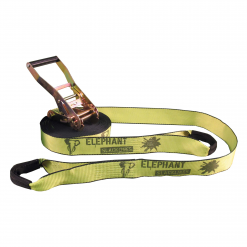 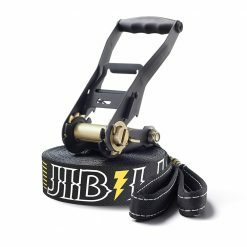 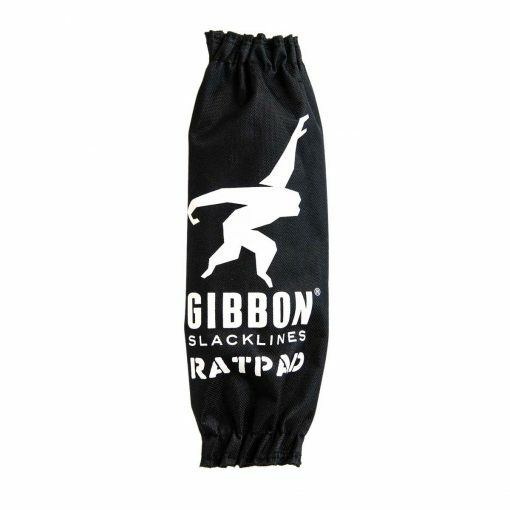 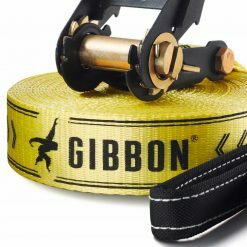 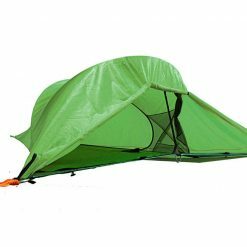 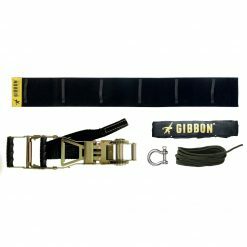 25 Meter Gibbon Classic Slackline Set XL including ratchet, ratchet protection, and tree protection. 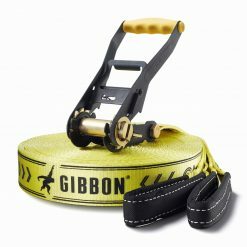 The Gibbon Classic 25 Meter Slackline is a really good starter set. 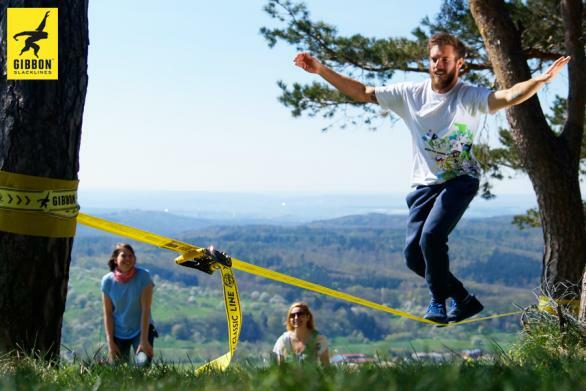 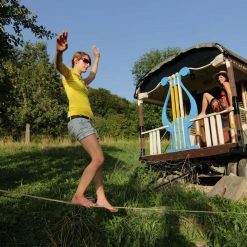 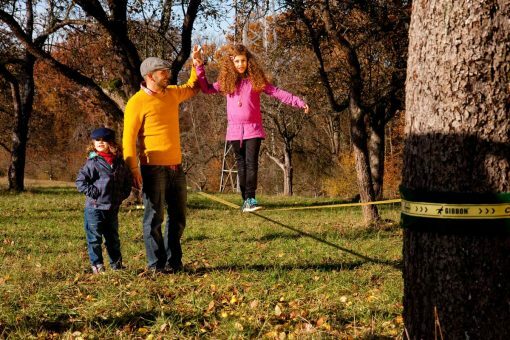 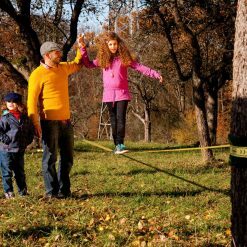 The slackline can be setup any length between 5 meter and 25 meter. 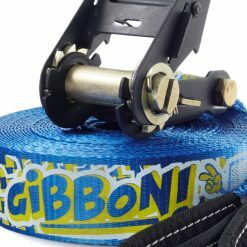 The set comes with a ratchet part and a 25 meter webbing part. 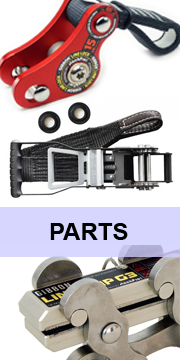 Both parts have protected sewn eyes to make the setup no problem at all. 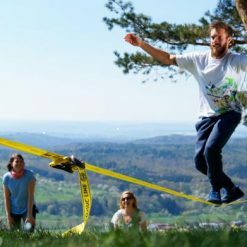 You might know the case when you are just missing this one meter of length to connect the slackline. 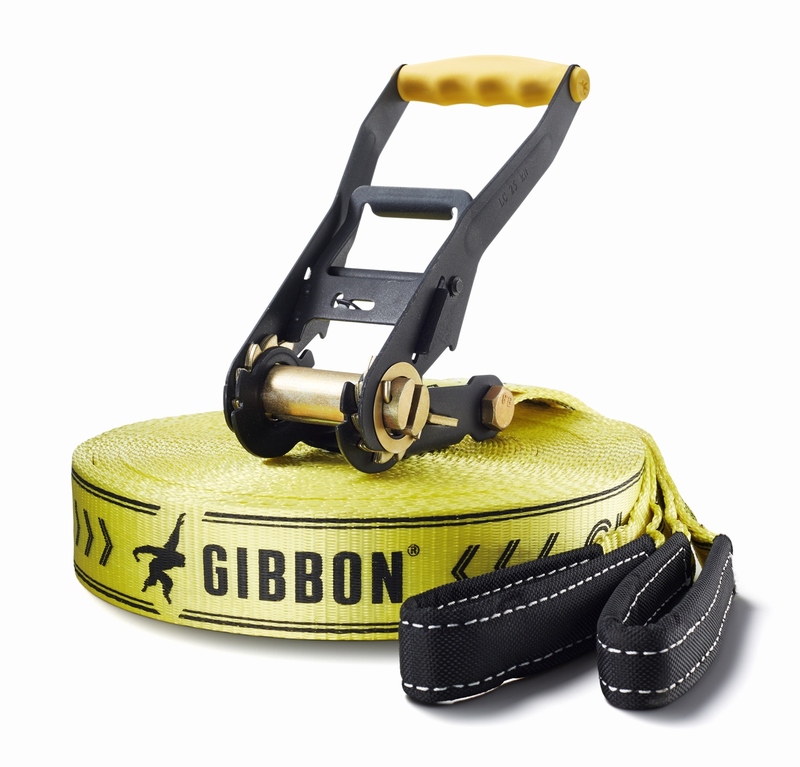 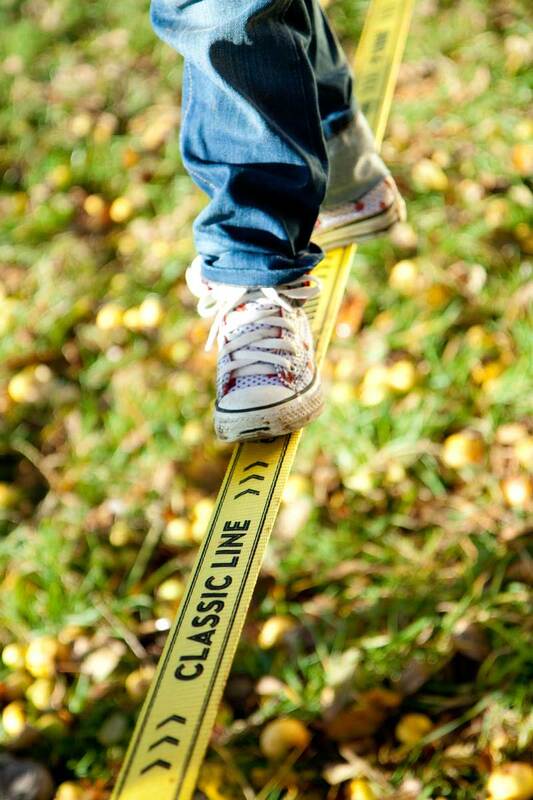 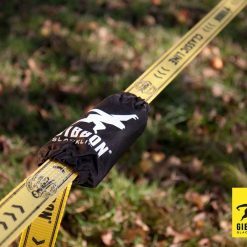 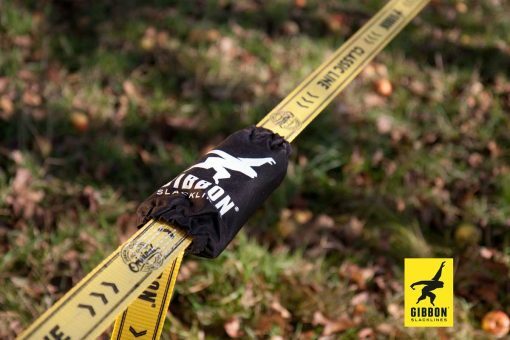 It won’t happen if you go for the 25 meter version of the most sold Slackline in the world: The Gibbon ClassicLine. 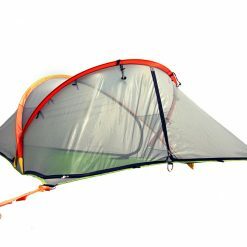 The X13 stands for developt and design improved in 2013. 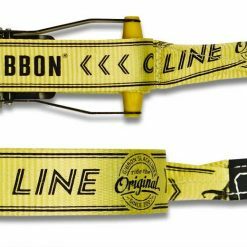 The X might stand for “Webbing the World” like two crossing slackline webbings, you can find that in the 2013 logo and tagline. 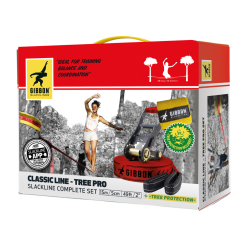 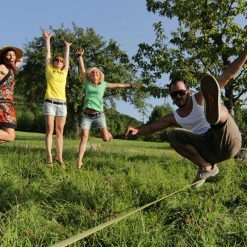 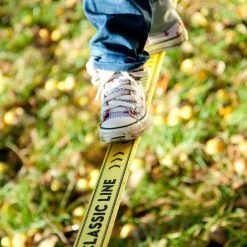 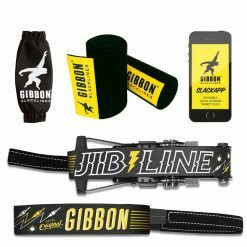 The Gibbon Classic 25meter Slackline Set is popular amongst beginners and all-rounders – it’s the slackline you can set up anywhere! 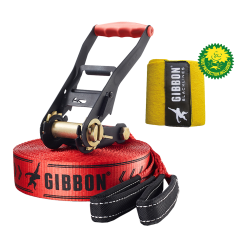 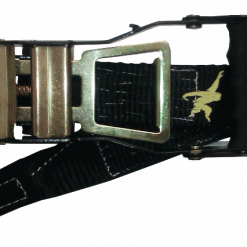 Simple usability and very durable – two good reasons for its popularity and the frequent use in sports gyms and in training besides a must for every back garden.